Welcome and thank you for visiting the web site of attorney Paul Reynolds. Our office is located in the historic Fulbright Building immediately adjacent to the Washington County Courthouse in Fayetteville, Arkansas. Paul's practice is dedicated to defending clients charged with DWI and DUI alcohol related driving offenses in the Circuit Courts of Washington, Madison, and Benton County, Arkansas, and the District Courts of Fayetteville, Springdale, West Fork, Prairie Grove, Huntsville, Lincoln, Farmington, Bentonville, Rogers, Lowell, Centerton, and Siloam Springs. Every client receives the highest degree of confidential and personal attention. It is our promise to you to use common sense, sound judgment, and good old-fashioned hard work to obtain your needs, goals, and objectives. 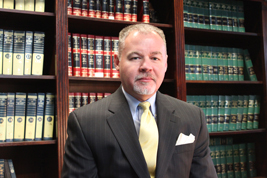 Paul has been practicing law for over fifteen years and has handled over 1000 DWIs and DUIs as both a prosecutor and defense attorney. This is experience that delivers results. It is amazing how much wrong information is out there about Arkansas DWI laws, even among attorneys and people who have been through the DWI and DUI court system. Hopefully, the information contained on these pages will be helpful to you. Please call for a no charge office consultation and give us the opportunity to assist you with your legal service needs.